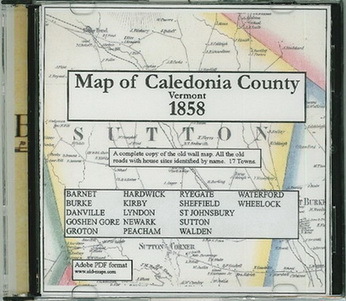 A CD ROM reproduction of the 1858 "Map of Caledonia County, Vermont" by H.F. Walling. 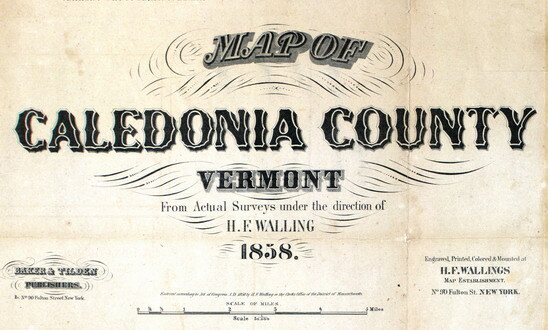 The original map (a large wall map) was the first complete view of who lived where in the 17 towns. Every site - homes, schools, churches and businesses- is located and named. All maps and data on the original have been scanned for this reproduction.